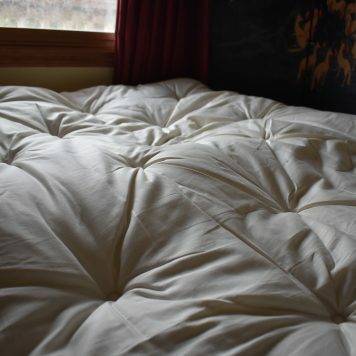 Sleep under this lofty wool comforter that is warm but not hot. The composition and shape of wool’s fiber make it free of static and competent at wicking away moisture, regulating your temperature yet insulating you with your own body heat. Entirely made in the USA, our local woolen mill sews it from wool batts from our local farms. 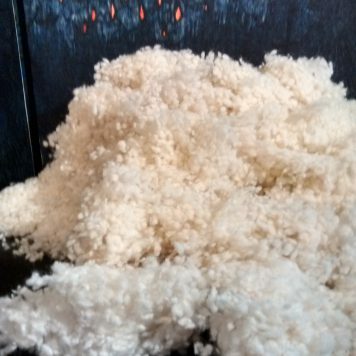 The virgin wool is not superwashed, leaving it soft and supple instead of itchy and scratchy. 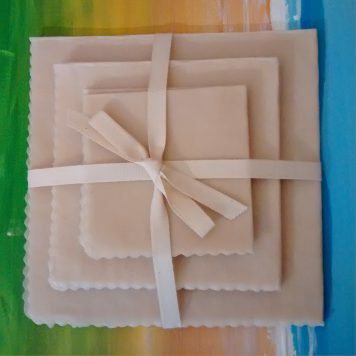 The organic sateen fabric is the same that we use on our wool toppers and inner pillow cases and sell by the yard for your DIY comforter and topper projects. Simple channels adorn this wool comforter, leaving it decorative for everyday use or suitable to be hidden away inside a duvet cover. Tropical weight is perfect for the cool months of Florida, Texas, California, Arizona and other warm weather states. Its thin layer of wool will take you through the warming Spring into the start of summer in the northern states. Sleep with air conditioning all summer? Tropical weight will let your body heat raise to a healing temperature for good REM sleep. 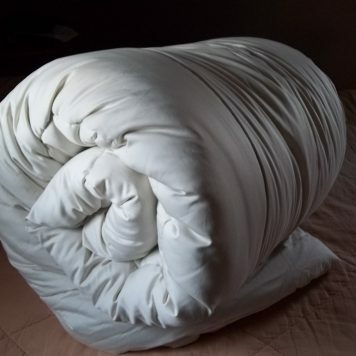 Live life simply: swap out 8 layers of cotton blankets with one Regular Weight Comforter! Regular weight is a great 20-50 degree weather blanket. 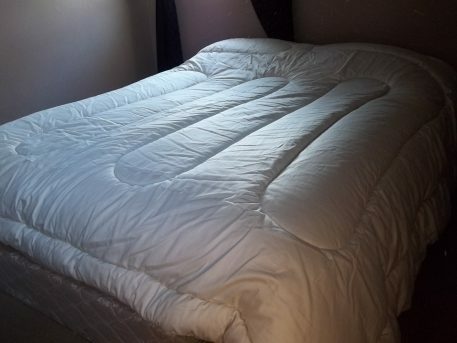 If your weather just got down to 20 and below, curl up in our Winter Weight Wool Comforter. Great at keeping out the drafts to keep you cozy. Still don’t know which weight is right, check out the tab on the left entitled DIY for an idea that would give you the best of all three worlds. If you would like to sleep on wool instead of under it, view our wool topper. Purchase 2 or more Tropical Weight Comforters. 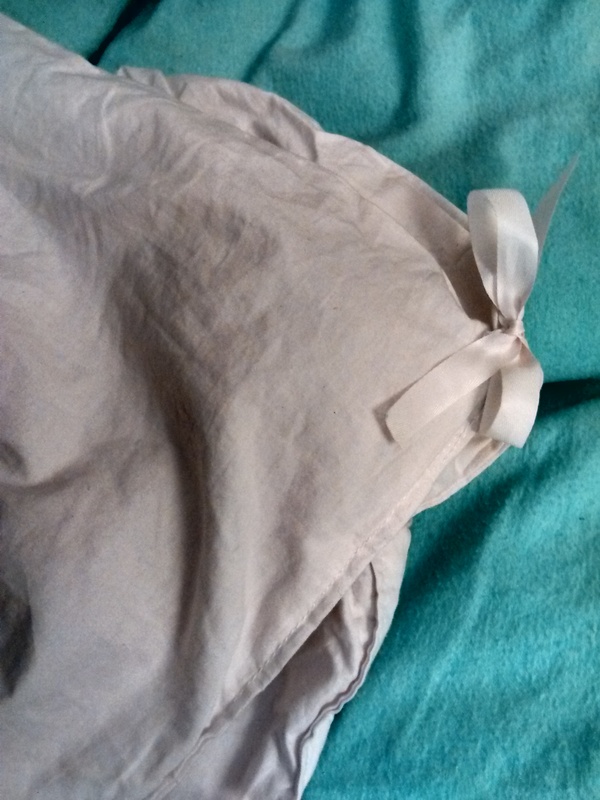 Attach Twill Tape or Fabric Ribbons to the corners of each comforter. 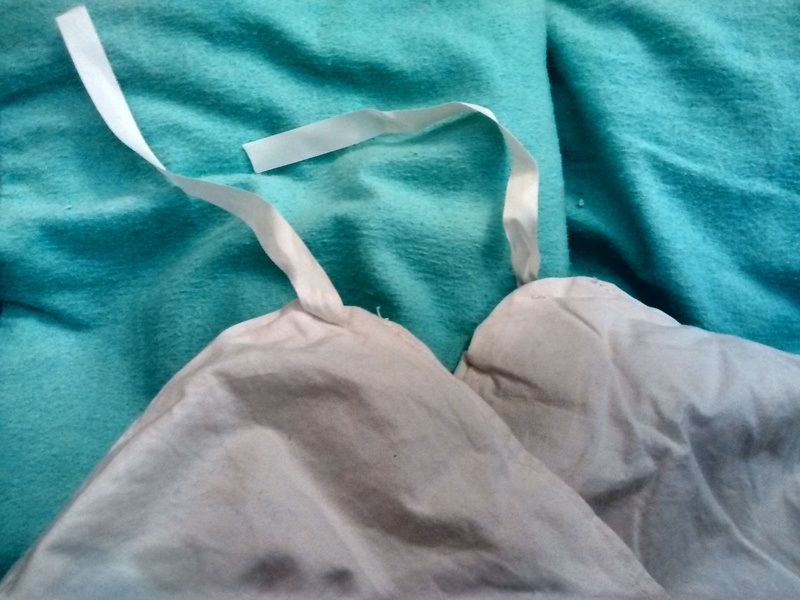 Come cool temperatures, layer the comforters together and tie them together with the attached ribbon. 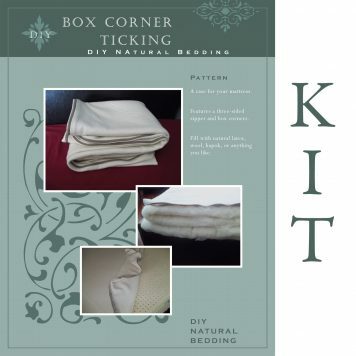 Now your comforter has just readied itself for the next season. These ties can also be used to tie into matching ties inside your duvet cover. 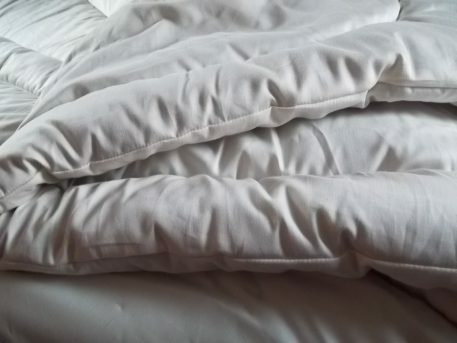 A duvet cover is recommended to cover your comforter as it is easier to clean than the whole comforter, though it is not necessary. 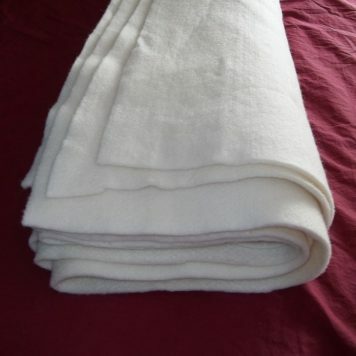 Should your wool comforter become soiled and need to be washed, you may HAND WASH it gently. Vinegar or hydrogen peroxide may also be used for sanitizing or spot cleaning. Shrinking is caused in part by the rubbing of the fibers against each other. As the fibers are rubbed against each other, they intertwine, shortening the length of the wool fiber. Avoid agitating the wool. Avoid using soap unless necessary. Strong soaps will raise the PH of the wool and cause it to felt easily. Drastic heat changes in the water will also cause the wool to felt. Wool is like your hair, in fact it has the same protein as our hair, keratin. Imagine how gently you would need to treat hair if it were being washed inside a fabric case. Let your comforter float, submerged in a tub full of tepid water. Let it sit for an hour or so. As it sits, you will see the dust being released and floating on the surface of the water. If you choose to choose a soap, use a wool soap such as Eucalan. Drain water and gently squeeze out water of wool. Fill tub again to rinse. Rinse by letting it sit again for half an hour. Squeeze and rinse again if necessary. 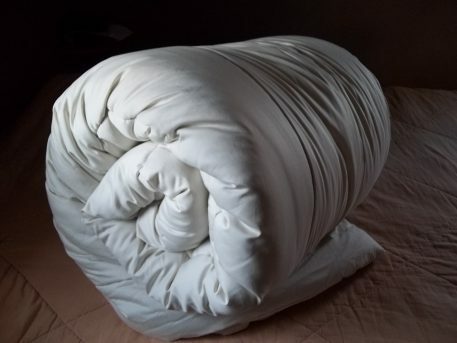 After it has dried for a day or so, you should have a fresh smelling, lofty wool comforter, ready to use.